Loans, forgivable loans, contributions and financing options that support housing innovation across the housing continuum. The Fund is looking for unique ideas and approaches that will support the evolution of the affordable housing sector. In the process, we anticipate that the Fund will help create up to 4,000 new affordable units over five years and reduce reliance on long-term government subsidies. The Fund’s scope of eligible projects includes affordable homeownership, retrofit models and affordable rental projects. Below are some examples of innovative projects that the Fund has supported. View the complete list of projects here. The Housing Investment Corporation has created a new lending institution to support the creation or renewal of affordable housing across Canada. From a down payment from a student association, raise private capital to finance affordable student housing and create an investment fund that will support other student housing projects. Advanced building technologies like high thermal resistance and sensors for monitoring permafrost, are being tested for the first time in residential buildings in the North. Canada’s first multi-residential high-rise building retrofit to Passive House standard. Unique ideas that will revolutionize the affordable housing sector moving forward. However, not all innovation is created equal, and an innovative approach or solution does not have to be revolutionary to have an impact. The Affordable Housing Innovation Fund supports ideas, big and small, that will improve the way we build, sustain, and finance affordable housing in Canada. Moveable, modular units that can be developed and installed quickly and inexpensively on parcels of undeveloped land. This model provides a unique, unconventional solution to the affordable rental challenges in the City of Vancouver. The Alberta Rural Development Network (ARDN) has established a framework to develop at least eight affordable housing projects using a net-zero shipping container design. 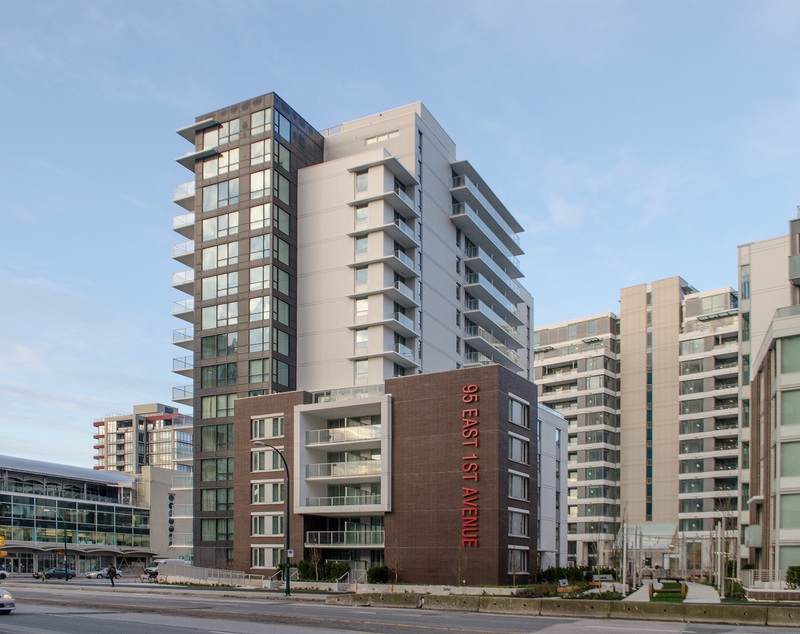 The first multi-residential high-rise building retrofit to Passive House standard in Canada. The reduced operating costs for the buildings in Hamilton, Ontario, will increase affordability for tenants. VanCity Credit Union created the VanCity Pre-Construction Equity Loan Fund which provides low-cost capital to affordable rental projects spanning the pre-construction and construction stages to assist with the risk and financing challenges during these periods. Using a prefabricated wall panel assembly system, Whistler Housing Authority (WHA) is aiming to create affordable rental units using Passive House certification standards at no additional cost. Vagabond Tiny Homes hopes to make a small community of stand-alone affordable boutique micro-homes. Using green building techniques and incorporating smart home technology, these tiny homes can be constructed in a few months, reducing overall costs and time to market. The community will use a mixed-market rental approach with 15 affordable units, 5 market units and 5 are short-term units. Under an established inmate construction program, new affordable housing will be built in Whitehorse, Yukon while also giving inmates the opportunity to upgrade their education and skills for future employment. Shelter rate units created in Victoria, British Columbia with no on-going subsidies due to a unique financing arrangement between all levels of government which is supported by housing first programs. 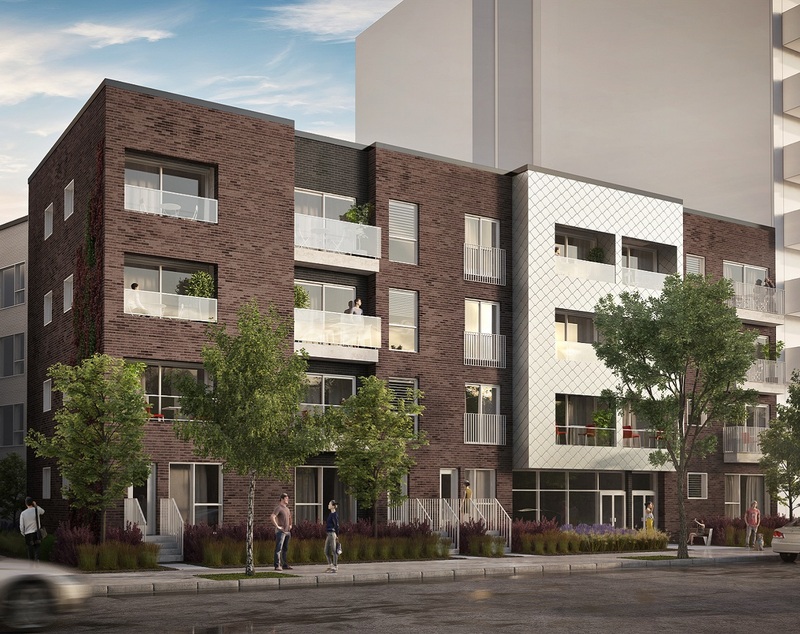 Blending green technologies and techniques, a new high-rise in Sudbury, Ontario will be Canada’s first ever high-rise to achieve near net-zero energy, water and waste in Canada – all while providing affordable rental units. Financial model where a portion of student tuition fees is used for investing in the construction of an affordable rental housing project. The usage of the tuition fees will allow a non-profit entity, to obtain upfront equity for the creation of an affordable project that will create up to 158 affordable student and non-student rental units. Additionally, a partnership involving private investment funds will create a revolving fund for future projects to be developed. The Kanas Shelter Corporation is taking green energy to new heights with two new buildings in Calgary, Alberta that will be energy efficient thanks to the use of wind, solar, battery and cogeneration power technologies. The buildings will be 40% more efficient compared to other high-rise buildings and create 252 affordable rental units. The model includes advanced building technologies, like high thermal resistance, sensors for monitoring energy efficiency, air recirculation/ventilation systems, advanced pre-digesting waste water tanks and pile sensors for monitoring permafrost. These technologies are being tested for the first time in residential buildings in the North. Lands in Calgary, Alberta are transformed into creative and collaborative communities for Canadian veterans experiencing homelessness. Consisting of 20 tiny, one story, affordable homes, each home will have a 250 ft. footprint, be self-contained and fully furnished. The Housing Investment Corporation (HI-C) has created a lending institution with support from the Innovation Fund. This new lending tool will raise funds from the bond market, while maintaining a good credit profile, to support the creation or renewal of affordable housing. Applicants must demonstrate their overall financing sources to support the level of funding required to ensure project viability. The amount and type of funding will vary based on proposals received and may require security depending on the proposal. Funding is available to eligible individuals, corporations and organizations that want to build new affordable housing in Canada. It is also available for those who want to repair and renew existing housing in response to a demonstrated community need. Eligible applicants include municipalities, private sector developers and builders, and non-profit housing providers (as well as community housing organizations). Affordable units: At least 5 new units, renovations or retrofits must be considered affordable. The Innovation Fund defines Affordability based on the affordability criteria of the municipality where the project is located. Failing such municipal criteria, the provincial criteria may be used. Where no affordability criteria exist, we will determine affordability for rental housing projects based on the Median Market Rent (MMR). The subject property rent must be below the MMR for new construction, based on CMHC MAC data for the area in question. Innovative design or financing models: You must demonstrate the use of innovative solutions for affordable housing. This includes novel financing models or unique designs used to overcome barriers and lower the costs and risks associated with housing projects. Unit affordability maintained for at least 10 years: You must demonstrate how your project will remain affordable for at least 10 years. Accessibility features must be included: At least 10% of the units of a project must meet accessibility requirements. Accessible features can include ramps, lifts, modified kitchens, bathrooms, and home automation (for more information on accessibility please see the application guide). Plans for viability and sustainability without long-term government subsidies: Units must demonstrate that they can be viable while decreasing or eliminating the need for ongoing government subsidies. Other factors that may be included in scoring: Projects with replicable designs, easy access to transit or have a focus on social inclusion. Note: Projects with demonstrated added value – like replicability, access to transit or serving vulnerable populations – will receive a higher score. The call for proposals opened on September 30, 2016. CMHC accepts and reviews applications on a continual basis and funding announcements are made on a periodic basis. CMHC requires the ability to use the information and ideas submitted by the applicant for research and evaluation. The Fund will take intellectual property rights and confidentiality into consideration. Proposals that meet the innovation criteria are referred to the i3 Committee for further review. The i3 Committee has representatives from the federal government and experts from various sectors (e.g., financial, lending, academia and innovation). Applicants may have the opportunity to pitch directly to the i3 Committee, who will assess and verify the level of innovation and prioritize applications for review by CMHC. Proposals that do not meet all criteria but show potential are referred to an Innovation Lab for refinement and potential resubmission. The Innovation Lab is an incubation hub within CMHC. The Lab provides access to technical resources and input for projects that have great potential but are not ready for funding. If your proposal is not chosen to move forward at either of these levels, you may be invited to resubmit at a later date. Funding is available for five years or until all funds are assigned (whichever comes first). **Important: To use this interactive PDF, right click (Ctrl + click on Mac) the link to save the file, and then open it in Adobe Acrobat. The application form is several pages long. You can see your progress through the application process at the top of each page. As you move forward through your application the completed pages will be saved automatically. Partially completed pages – those that are missing required fields – will not be saved. You may leave the application portal and return at a later time and your application progress will be saved. Consult the Application Guide for detailed information and guidance to help you through the application process. NOTE: As part of the National Housing Strategy, the Affordable Housing Innovation fund webpage has moved over to this new site. If you have already applied to this fund, your application details have been saved. However, you will need to create a new account because new security protocols are in place. To merge your previous and new accounts please use the same email address that was used for your previous login credentials. Contact a member of the Affordable Housing Innovation Fund team if you have any issues at innovationfund@cmhc.ca.